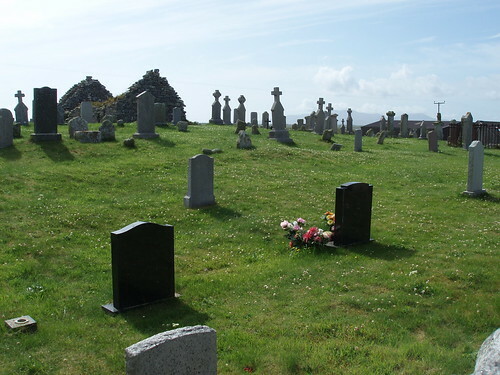 The cemetery at Nunton (Baile na Cailleach) is situated a few miles south of the town of Balivanich, along the coastal road to Lionacleit. 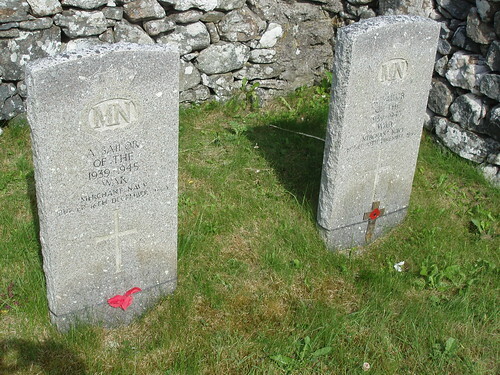 There are two graveyards; the one on the western side of the road is new; the one on the eastern side of the road contains wargraves. 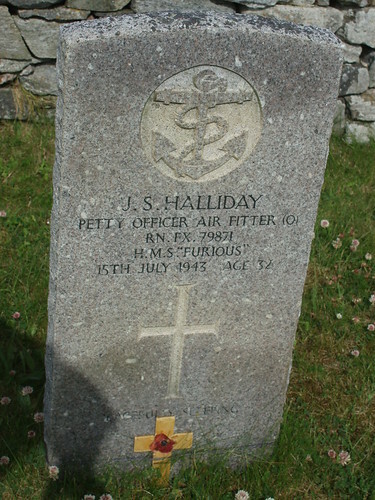 Son of Samuel Scott Halliday and Kathleen Berry Halliday; husband of Maud Sarah Elizabeth Halliday, of Leigh-on-Sea, Essex. 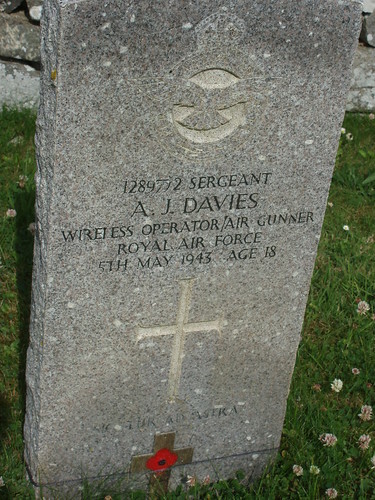 Son of Douglas John and Grace Davies, of Clapham, London. 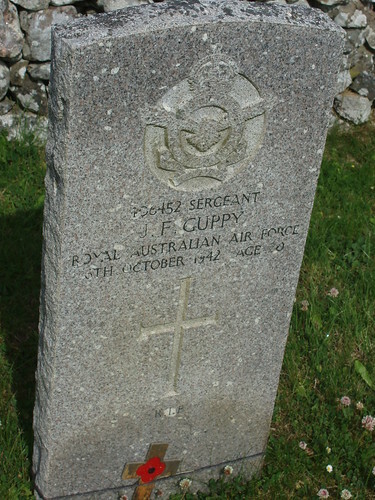 Son of George Edward and Nellie Guppy, of Perth, Western Australia. 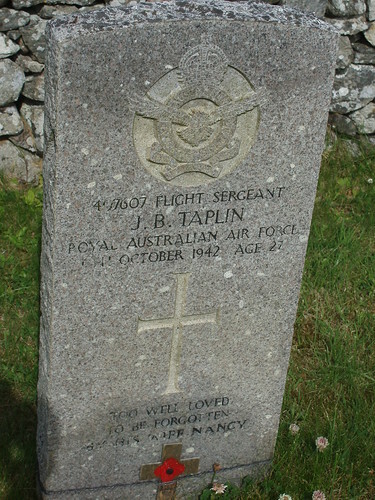 Son of Alfred Basil John and Estelle Christina Taplin; husband of Nancy Eileen Taplin, of Largs Bay, South Australia. 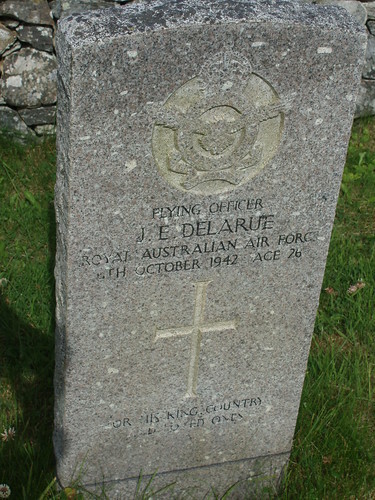 Son of Leopold Emile and Hilda Mariel Delarue, of Lindfield, New South Wales, Australia. 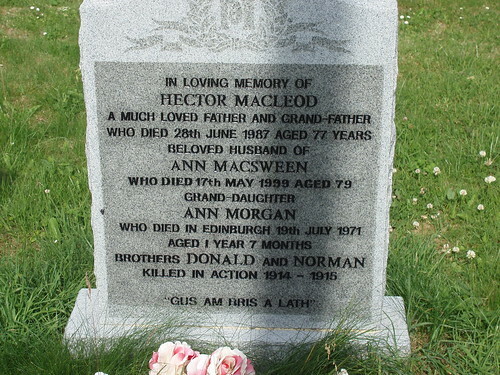 Son of Henry and Marion McKenzie, of Greenock, Renfrewshire. 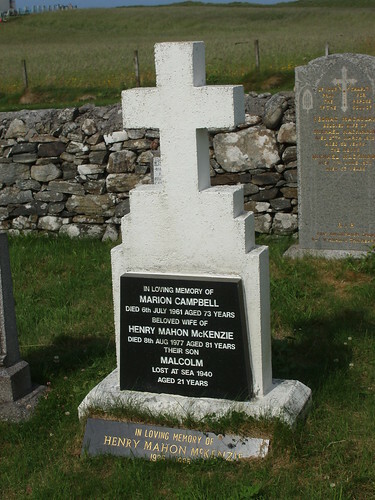 Son of Duncan and Mary Ann Colquhoun; grandson of Mrs. C. MacEachen, of Creagorry. 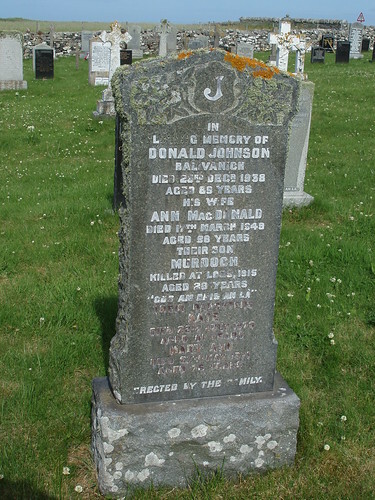 Son of Donald Johnson and Ann Macdonald Johnson, of 12, Balwanich, Benbecula, South Uist, Inverness. 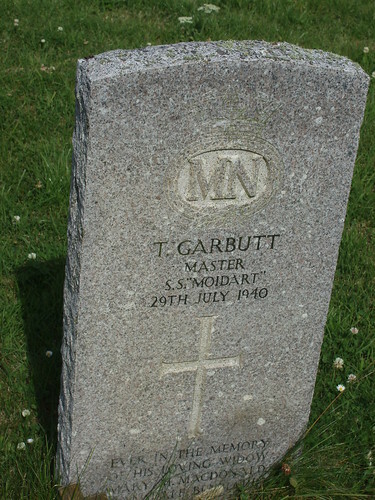 Son of Thomas and Elizabeth Garbutt; husband of Mary Margaret Garbutt, of Gramsdale. 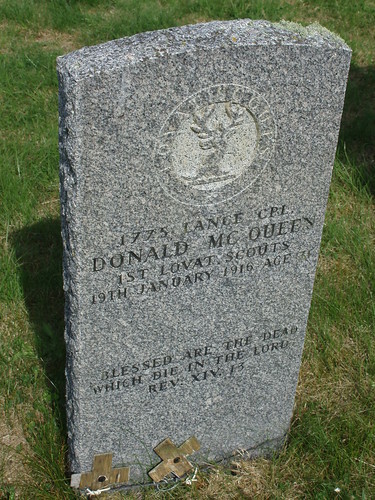 Son of John and Catherine McQueen, of Liniclate, Benbecula. 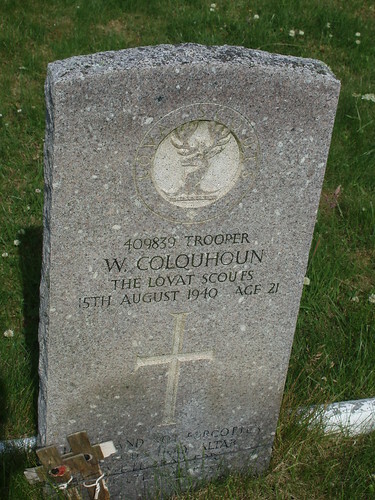 South Uist. 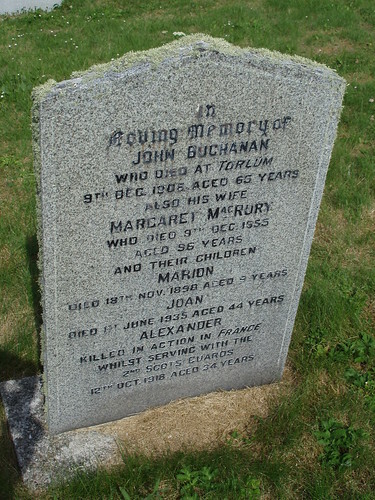 Son of John and Margaret Buchanan, of Torlum Benbecula, South Uist, Inverness-shire. 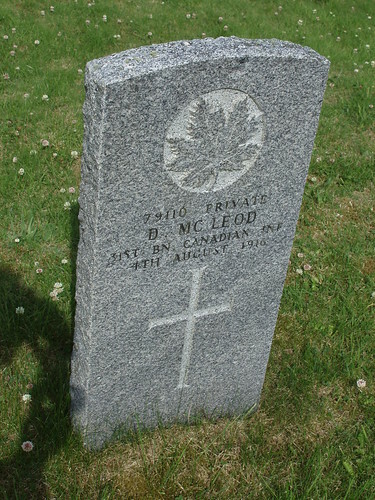 Interred: Romeries Communal Cemetery extension, grave IV. D. 6.